I'll be the first to admit that picking a web host is one of the less glamorous aspects of blogging. But at the same time it is of critical importance for your blog's future. With poor web hosting your blog will suffer from downtime and poor support. With good hosting you won't have to worry about the technical end and can focus on what matters to you. If you're a new blogger, picking a web host is the most important pre-launch task you'll undertake. If you're an established blogger, finding a good web host should still be a priority. After all, if you're on a shoddy host it's only a matter of time before you run into complications. Thankfully, we can break down the choices pretty easily. 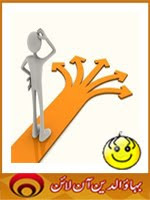 There are three critical criteria when choosing a new web host.